Overview: The Mixtec ('Mixteco' in Spanish) are a family of indigenous Mesoamerican peoples inhabiting the Mexican states of Oaxaca, Guerrero and Puebla in a region known as La Mixteca. The Mixtecan languages form an important branch of the Otomanguean language family. 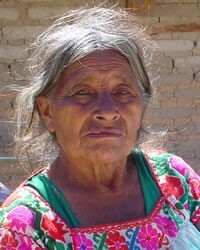 Mixtec religion is largely a blend of Roman Catholicism with traditional religious practices.